Scole towermill was a four storey mill built of tarred red brick in 1799. The tower had two doors on opposite sides showing the the mill was built with common sails. However, four double shuttered patent sails had been fitted by 1864 and these powered 2 pairs of French burr stones, a flour mill and jumper. The Norfolk boat shaped cap held a 6 bladed fan. Very desirable Farm of 66 acres (with possession at Michaelmas next) Brick Tower Windmill, substantial Cottages, Coachmakers and Wheelwrights Shops, productive Orchard Ground etc. at SCOLE, Norfolk. W. W. Elliott Respectfully announces he will Sell by Auction at the Greyhound, Scole, the latter part of September, in several Lots the above very valuable Estates late the property of Mr. JAMES CRACKNELL, deceased. Lot 2. A superior Freehold brick tower Windmill with 4 floors, 2 pair of French Stones, Flour Mill and Jumper and Wind Tackle. A convenient newly erected brick and tiled Dwelling House with Stables and Cart Lodge and an Inclosure of productive Pasture Land adjoining 1a. 2r. 27p. most advantageously situate at Scole by the side of the turnpike road leading from Ipswich to Norwich, in the occupation of Mr. Samuel Barber. Particulars of Messr5s. French & Lawton, Solrs. Eye, Suffolk, Mr. William Cracknell, Redgrave and of Mr. W. W. Elliott, Auctioneer & Land Agent, Thelton near Scole. A most desirable BUSINESS PREMISE including a Brick built Spacious TOWER WIND-MILL with four Floors, two pars French Stones, Spring Sails, self adjusting wind Tackle, convenient Stones and Brick built DWELLING, detached Wash house, Granary, Cart lodge, Stable, Piggery and Buildings with productive Garden and Paddock, containing together 1a. 3r. 0p. situated in Scole near the High Road leading from Ipswich to Norwich, now in the occupation of Mr. Samuel Barber. The above Property which is Freehold and Land tax redeemed, is most eligibly situated for trade and will be sold with possession at Michaelmas next. Particulars and Conditions of Sale may be had of Messrs. Heffil & Salmon, Solicitors, Diss and of the Auctioneers, Hoxne and Brundish. Samuel Barber, born in 1811 was miller at Harlston_Jay's_Green_towermill in 1839, where his father William, had been miller before him. Samuel moved to Scole towermill from 1845-1864. 1891-1904 at Hingham_Deopham_Rd_towermill and Hingham_watermill. A FIRST CLASS TOWER WINDMILL with new Stones, most eligibly situated at Scole, Norfolk (East) standing in an elevated position, commanding a large Flour Trade. Two miles distant from a Railway Station and nearly central between two Market Towns. The Residence is of Brick and very suitable and the Granary and Outbuildings convenient with a meadow attached. Apply to Mrs. Bale, Kenninghall, Norfolk. WANTED immediately, a Married Man as Miller to work a Wind Mill. Apply to F. Simpson, Scole Mill. Enclose stamp. WANTED immediately, a Married Man as Miller to work a WINDMIILL. Apply F. Simpson, Scole Mill. 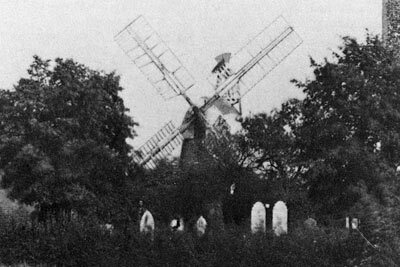 A SUBSTANTIAL BRICK TOWER WINDMILL at Scole in Norfolk, with Four Patent Sails, driving Two Pairs of Stones, Flour Mill, Machine for Dressing and all necessary Appurtenances. Also a substantial and convenient Brick and Stone Dwelling House with Back Premises, Granary, Stable, Cartshed and other suitable Offices together with about Two Acres of excellent MEADOW LAND. Further particulars and conditions of sale on application to Mrs. E. Bale at North Lopham or two Messrs. Jay & Pilgrim, Solicitors, Norwich. TO BE LET at Scole, a good and substantial Brick Tower WINDMILL. with 4 Patent Sails, driving 2 Pairs of French Burr Stones, Flour Mill etc; the whole in good working order. Possession may be had in April next. Application to be made to Mrs. Bale or Mr. W. W. Rolfe, North Lopham. 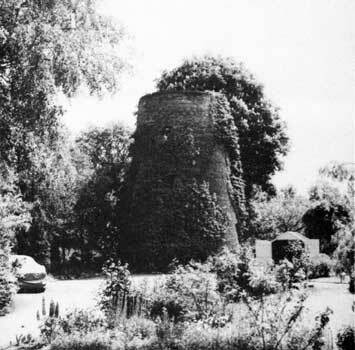 A capital brick Tower Mill with 4 patent sails, driving two pairs of French burr stones, flour mill etc., the whole in good working order; also a good Dwelling House ... and about 2 acres of meadow land adjoining. Apply to Mrs. E. Bale or to Mr. W. W. Rolfe, North Lopham or Thomas W. Salmon, Solr. Diss. A CAPITAL BRICK TOWER MILL with four Patent Sails, driving two pairs French Burr Stones etc, the whole in good working order, also a good DWELLING HOUSE, containing Parlour, Kitchen, Back Kitchen, Store room, Washhouse; Granary, Coalhouse and Wood house, Stable and Piggeries and about 2 Acres of MEADOW LAND adjoining. Application to be made to Mrs. E. Bale or to Mr. W. W. Rolfe, North Lopham or to Mr. T. W. Salmon, Solicitor, Diss. Edward Woodrow, who had moved from Billingford_towermill, took over the mill in 1875 before leaving to take over at Horsford_towermill in 1883. His son, Charles Edward Woodrow, became the owner and miller at Lakenham Peafield towermill. On 28th May 1975, Mr. Rudge of the Mill House wrote to Harry Apling and provided structural details of the mill at that date. The 30 foot red brick tower shell had been roofed with a skylight. The ground floor had two doors - one on the north side and one on the south side. The walls were stepped and were 27 inches thick at the ground floor where the interior diameter was 20 feet. The ground floor was being used for storage. William Barber b.1779, my GGG Grandfather was miller at Jay's_Green_Tower_Mill between 1830s - 1851. His son Samuel Barber b.1811 was also at Jay's_Green in 1839, then in 1845 - 1864 he was Miller at Scole Tower Mill. His son William Samuel Barber b.1837 was Miller at the following: 1861 - Eye, 1871 - Gissing, 1881 - Rockland All Saints, 1891 - Hingham and between 1878 -1879 William appears to have been at Carlton_Rode_Tower_Mill. William was at Hingham until 1904, his Step-Son Robert John Watling was recorded as miller up to 1908.